The Pelican NaturSoft system is the premium, maintenance-free, salt-free water softener / conditioner. It is certified for 99.6% scale prevention and offers an industry leading limited lifetime warranty. Not just a SOFTENER, the best of all three! IAPMO Certified NSF/ANSI 61 and NSF/ANSI 42 for structural integrity. Salt-based water softeners remove hardness minerals from water, specifically calcium and magnesium, therefore reducing the hardness of the water. Salt-free water softeners, on the other hand, neutralize these minerals instead of removing them. Although these minerals are retained in the water, since they have been neutralized, they are converted to a crystallized form and aren.t able to adhere to surfaces like pipes or dishes. Leaving these minerals in your water is beneficial, since calcium and magnesium can have health benefits. If you're looking for an alternative to salt-based water softeners, Pelican Water's NaturSoft Salt-Free Water Softener is an excellent choice that will exceed your expectations. Water is known as the world's universal solvent. Its ability to dissolve rock and sediment has created some of the worlds must stunning sights, like the Grand Canyon. The result of dissolving rock and limestone is the introduction of high concentrations of calcium and magnesium, or 'hard water'. The amount of calcium and magnesium in the water varies based on the amount needed to balance that water. As that water evaporates the concentration of minerals grows and results in water that forms scale. This is called 'saturation'. Scale can have an adverse effect on many appliances in the home including the dishwasher, water heater, fridge, sink faucets and shower heads. Scale will clog these items or cause damage to o-rings and valves that result in costly repairs. In your water heater, heating up the water causes scale to form quicker and can result in your heating element burning out much faster than normal. 'Hardness' that is trying to scale can also interfere with your detergents and form soap scum. "Hard water" problems can be taken care of with a water softener. A water softener is any device, substance or process that when applied will result in any, or all of the following benefits to varying degrees in the areas of scale reduction, improved cleaning / housekeeping and subjective improvements in personal care. Pelican's salt free water softener offers you independent third party performance tested scale prevention, along with improved cleaning and housekeeping benefits while also offering you a reduction in detergent use. Pelican Natursoft Salt Free Water Softeners "soften" water by taking varying amount of minerals from solution through precipitation as well as reducing the water's surface tension. More importantly, without the use of chemicals, physical water treatment also produces superior scale reduction and even remove existing scale deposits other water treatment methods lack. The NaturSoft media has calcium carbonate crystal structures on its surface that will attract excess dissolved hardness and remove it from solution by integrating it into the crystal structures on the media. This results in the crystals on the media surface to grow larger. The movement of water and friction among the individual media granules rubbing against each other will cause fragments of these newly grown crystal structures to be fragmented off the media and released into the passing water. Those free flowing calcium carbonate crystals then continue to travel through a plumbing system as suspended particles where they perform the same role as the media in the NaturSoft system itself, i.e. acting as seed crystals further buffering the effects of any changes in the scale potential of the water downstream by absorbing excess mineral into their structure and themselves spawning the creation of additional micro crystals. Learn about the science behind the NaturSoft Softener by Pelican. Pelican Limited Lifetime Warranty on all filter housings, tanks, in/out heads, and the bypass valves against manufacturer's defects. Pelican Water (“Pelican”) warrants to the end user (“customer”) that its tanks, valves, in/out heads, bypass’s, fittings and housings (“Covered Items”) will be free from defects in material and workmanship under normal use and service for the life of the system. No warranty is made with respect to defects or damaged due to neglect, misuse, alterations, accident, misapplication, physical damage, or damaged caused by fire, acts of God, or freezing. Q. What is the difference between water spots (evaporative deposits) and hard water scale? Hard water scale buildup is mineral deposits that form inside your water heater, pipes, shower heads and icemakers. This scale occurs because the water is over-saturated with hardness minerals causing those minerals to come out of solution and form scale on pipes and heating elements. This scale can reduce water pressure and damage appliances. Any time water is allowed to evaporate on the outside of faucets, shower doors and counter tops, dissolved solids and minerals are left behind. When these solids are left un-cleaned for a length of time they mix with soap and dirt around them to create a hard to remove water spotting deposit. Since the water has already evaporated, the scale formed is no longer related to the water, and adding a salt water softener will not prevent this, because salt softeners leave sodium in the water, which will also leave water spots. A water softener will not stop water spotting. The Pelican no salt water softener will help reduce the amount of heavy cleaning you need to do to remove those spots and will eliminate hard water scale in your pipes and appliances. When treated with Natursoft, minerals that are left behind on surfaces when the water evaporates do not bond or stick to the surface around them, making cleaning easier. With Hard water scale prevented , the no salt water softener has protected your appliances from damaging hard water. Q. Does the NaturSoft filter out chlorine and chemicals from my water? No, the Pelican NaturSoft is a water softener/conditioning system. Its sole purpose is to deal with the hardness in your water and not the contaminants. If you are interested in filtering chlorine and other chemicals from your water, you may want to consider the Pelican Whole House Water Filter and Softening Combo. Q. What makes NaturSoft different from similar technologies? Unlike other systems on the market, the NaturSoft is the only salt free water softener certified for 99.6% scale prevention with DVGW and requires only 3 seconds of contact with the water; Others require 9 seconds or more. The Pelican NaturSoft is unlike any other system on the market. The NaturSoft is made in the USA and is sold only by Pelican Water Systems. Another benefit of going with Pelican is the lifespan of the NaturSoft catalytic granules. NaturSoft catalytic granules have been rigorously tested in the real world, used in the commercial industry, and made to be non-sacrificial, therefore it requires no "rest time", and requires no replacement. Other similar technologies require replacement every 3-5 years at costs of $600-$1,000 and require you not use their systems for 8 hours a day for proper rest! Q. Do I need to replace the media in the NaturSoft System? Unlike other systems on the market, the NaturSoft systems catalytic granules have been rigorously tested in the real world, used in the commercial industry, and made to be non-sacrificial, therefore it requires no replacement. Other similar technologies require replacement every 3-5 years at costs of $600-$1,000! Q. Is the Pelican Natursoft a water softener? Yes, the Pelican Natursoft is a salt free water softener. Pelican worked closely with the Water Quality Association (WQA) Gold Seal Certification Body and a team of authorities on water treatment certification to define what a water softener was and help expand education to consumers about the differences between an ion exchange (salt) and T.I.C. (Salt Free) water softeners. Education has always been an important step in Pelican's mission statement. With all the new technologies being developed for water treatment, its important that your water treatment company help educate the consumer on new technologies and how they benefit you. The Gold Seal Body of the WQA does not define the definition of a water system, instead it determines what is certified and what it is certified for and the method used to deal with water hardness. Pelican's Natursoft system is certified by IAPMO under NSF/ANSI 61 and NSF/ANSI 42 for structural integrity. With third party testing under DVGW 9191 showing 99.6% scale prevention, Pelican is the only salt free water softener with a proven track record on the market. Q. If the water hardness is tested after the system is installed will the hardness level be different? If the water is tested after the NaturSoft System is installed the hardness level will not be reduced. The NaturSoft system uses a no salt technology called T.I.C. which prevents hard water minerals from creating scale, while still leaving those benefical minerals in your water. The result is water that is balanced. Because a hard water test only checks for the amount of calcium in the water, and not if it will scale, the strip may still show hard, but the NaturSoft is still protecting your appliances and your home with treated water. Q. How will the NaturSoft System be shipped? The NaturSoft Systems are shipped via UPS Ground in the highest quality doubled walled box with side cushions and a custom top piece. No expense has been spared to ensure your system arrives in factory fresh condition. IAPMO tested and certified according to NSF/ANSI 61. RO Operating Costs: $0 $100-$200 /Yr. "People who care about their appliances, choose Pelican!" Salt-free water softeners, on the other hand, neutralize these minerals instead of removing them. Although these minerals are retained in the water, since they have been neutralized, they are converted to a crystallized form and aren’t able to adhere to surfaces like pipes or dishes. Leaving these minerals in your water is beneficial, since calcium and magnesium can have health benefits. Upgrade to a spa-like experience with our combo system! "Installation was easy. Pelican provided me with everything I needed to get the job done!" Our goal is to create excellent products and combine them with great, knowledgeable customer service. Find out what our satisfied customers have to say by reading our customer reviews. Click here! "The quickness of ordering and the delivery was exceptional. My discussions with the salesperson, Mike was very informative and no high pressure to close the deal. He was more concerned with my specific needs and was very understanding to what I was trying to accomplish. The system was installed on Friday, and I have already begun seeing results with particules breaking away from the pipes when running bath water, illustrating that it is doing what it was claimed to do. I am pleased thus far and have shared with many others the great find to "no salt" alternatives and water that will not destroy pipes, water heater and appliances!" "Since I have installed the Pelican NaturSoft Salt Free Water Softner, it has cleaned out all the pipes in our house of build up and softened the water. I have not had to lift a heavy bag of Salt, nor used any electricity to keep it operating smoothly. It also does not have run off dirty water with salt into the soil. There by I am not creating soil that will keep plants etc from dying. It also saves me money by not using any electricity. Thanks to Pelican Natursoft." "I am so happy I purchased our NS-3 water filter system 2 years ago. There is absolutly no muss, no fuss and best of all it really performs great! It's all it advertises itself to be. The water is soft, no spots, and needs no salt! The maintenance is zip! I just change the filter once each year. It takes only 5 minutes and no special tools or knowledge required. Two of my neighbors have also bought the NS-3 system and love it! Its so sleek and tidy it fits perfectly, out of the way, in my garage. It just quietly sits there and does its thing without any noise. I fully recommend this system." Pelican Water Systems is proud to be a Platinum Sponsor for the Newport Green Home. Located in Corona Del Mar, one of Orange County's most expensive areas in Newport Beach, CA. This is a LEED® for Homes registered project and is aiming for the Platinum Certification. The custom home is a single family residence, approximately 4,211 sq', and is being built for homeowners, Wayne and Shannon. The builders and homeowners chose Pelican Water Systems as a perfect match for their 'go green' initiative. Pelican Water is gracing the pages of Organic Spa Magazine this month with an ad featuring our Whole House Water Filter and Salt-Free Water Softener combo system. Organic Spa Magazine is on the leading edge of health and wellness, natural beauty and skincare, eco-fashion, green design, organic and artisanal food and drink, travel and much more! We feel that's a great fit for Pelican Water Systems and look forward to our 'healthy' partnership! Pelican Water's "Premium Filtration System" was recognized as a Healthy Mom & Baby's parent-preferred baby items. It's becoming increasingly more difficult to protect our children from the dangerous chemicals and additives used to 'disinfect' our drinking water. The best investment you can make for the well-being of your family AND your home is to install a Pelican Combo System. If you are interested in filtering chlorine and chemicals in your water as well as eliminating the negative effects of hard water without the use of salt then the low maintenance, easy-to-use Pelican Combo Series is your answer. Please click here if you would like to receive a brochure and dvd containing information about this product. Note: For your convenience, the videos on this DVD are also available online. If you would like immediate information on the benefits of installing a premium Pelican System, please watch these videos online. If you have a tankless hot water heater we recommend a 10 Micron Hot Water Post-Filter System to be installed just after the water heater. If you get red or orange staining (rust color) from your water, you may be interested in our Pelican WF6 Complete Water System to help soften your water and solve your staining issues with no salt! If you are on a well and have a rotten egg smell, you will want to look at our Chlorine Injection Systems for Sulfur. Pelican NaturSoft Salt-Free Water Softener 1-3 Bathrooms is rated 4.7 out of 5 by 72. Rated 5 out of 5 by Tracy Hippensteel from This system is so clean and streamline. It actually takes up a fraction of the space that my old salt system occupied. It just sits quietly in the background and does it's job. I recommend this system for everyone who is tired of caring for their older salt system, this one basically takes care of itself. Rated 5 out of 5 by JOSEPH from Great product to soften the water without the annoying system flush in the middle of the night by prior salt system. Great customer service from Jeff who answered every question even the seemingly silly ones. He followed up with us prior to the purchase and afterwards. After having been so pleased with the purchase 2 years ago with the whole house filter we are excited to get this installed. Rated 5 out of 5 by Allen from Wife is happy with new pelican water system Its was easy enough to install even though this is my first experience with Pex fittings. I used all 1" brass tee's, 90's and valves. No leaks except the filter that I think I over tightened. Changed out o-ring and didn't leak. Wife is please with the scale softening and coming off fixtures and dish washer. I ran a room humidifier and the scale build up was very easy to remove compared to before. Rated 5 out of 5 by Tery J from No Salt, very easy for the do it yourselfers! I bought the NS-6 last month. I installed it downstream of my house inlet valve, it was very easy to install and takes up very little room. The system is located in my garage and looks great. I followed the directions included for start up and charging the system. So far I can really tell the difference with the soft water, softer towels and no more itchy skin! I Love it!! Rated 4 out of 5 by RANDY1989 from EASY TO INSTALL I PURCHASED BECAUSE OF POSSIBLE MINERAL DEPOSITS FROM WELL WATER IN HOME I JUST PURCHASED. HAVE REPLACED SECTIONS OF COPPER PIPE THAT HAD DEVELOPED PIN HOLE LEAKS. HAVE SEEN NO SIGNS OF MINERAL DEPOSITS SO FAR. HAVE BEEN IN HOME SEVERAL MONTHS. WORTH THE COST DUE TO EXTENDED LIFE OF APPLIANCES. WOULD SUGGEST HAVING WATER TESTED TO BE SURE OF CORRECT SYSTEM TO PURCHASE. Rated 5 out of 5 by Two guys and two gals from We love it! I had to have a Plummer install it because our house was fitted with a previous system, BUT, so far I love the system. Lots of water pressure and no issues with multiple showers/dishwasher going. Long run this will be a fraction of the price of the tanks that were being replaced twice a month by a service and the water so far feels great. Rated 5 out of 5 by ThePaladin from Works Great I installed the unit a couple of weeks ago. First, let me say that the installation was very easy! I did buy the installation kit and although it is over-prices for what is in the package, it made everything so easy it was worth it! I would have made a couple of trips to the hardware store and still been unsure it was exactly right. So I would totally recommend buying the kit. Second, we replaced my existing (and broken) water softener that used salt. My kids say the water has never tasted this good! Finally, they say the conditioner break the particles down in such a way it will actually clean the hard water deposits out of the system. My fridge has a cold water dispenser that was clogged. I was going to replace the pipe in the fridge itself (not a pleasant prospect). A week after I put in the unit, it began to "unclog". Some junk flushed out and now it is as good as new! Amazing!!! All in all, I cannot say enough good things about this unit. Awesome, Pelican! Rated 5 out of 5 by Thomas Ashley from I've never liked the slimy feeling of most softened water and being on a well and septic system it was not a choice for me. I do have relatively hard water with lime buildup. The salt less system hasn't been in use very long but the taste and texture of the water is good and I'm hopeful for scale reduction. Rated 5 out of 5 by Melissa from Much cleaner water We installed this about 3 weeks ago. So far we have no more calcium residue around the sink. The filters on the faucets are not clogging. The water is great for showers, we don't feel like we have soap residue that won't come off. Thus far we are very pleased. My husband was able to install it himself. Rated 5 out of 5 by Brooks97 from Salt Free Softener is great We bought this system and had it installed about two weeks ago. 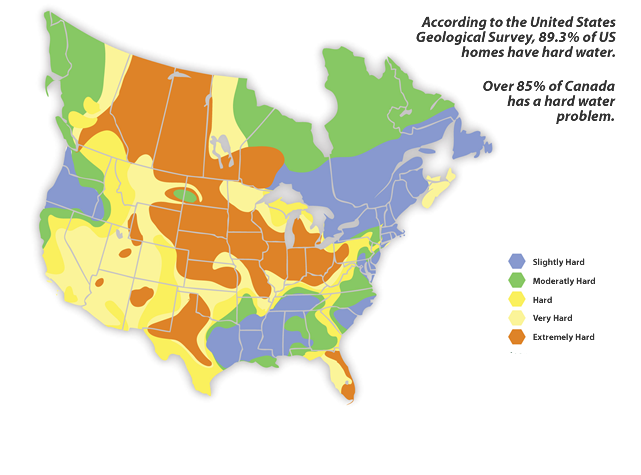 We're on a well and have good water, but exceptionally high hardness ratings. This Pelican replaced a salt/bead system and we can tell a difference. Hoping it gives us some relief on faucets, bathtub and showers with lower mineral exposure. Rated 5 out of 5 by DanD from Saltless Soft Water-WOW We bought this about 3 weeks ago. Straight forward install-video on "How to.." was GREAT! I used a plumber for copper/brass connections, (see Pic). Showers without the slippery feel, and when we needed to use dishwasher before 72 hour "break in" it was easy to by-pass then re-engage. Love it!! Rated 5 out of 5 by Jeanette Cheney from Easy ordering. Customer service very responsive to all of our questions while trying to decide. We have had it a couple months now. Works great. Easy to install (order the install kit with it). Looks very nice. Takes up so much less room than our old water softener. Love that there is no salt! Rated 4 out of 5 by No nickname. from No more 40 lb. bags of salt! It's working as advertised and I'm happy with the product. I bought it on-line and I'm being utterly bombarded with Pelican ads. Hey guys, I already bought it! You don't have to follow me everywhere I go on FB all of the time. Please stop the ads. Rated 4 out of 5 by Early from Simple installation I bought this unit about a month ago. Too early to determine if it is effective. Had difficulty stopping the filter housing from leaking. There is no button on the filter housing to relieve the pressure in the filter after it is isolated. Rated 5 out of 5 by Bob S. from Better, healthier water Even though we've had the NS3 for only 3 days, we're enjoying showers and washing dishes more than ever before, when we had the salt based softener. The water taste is fine even without the carbon unit. Thank you Pelican! Rated 4 out of 5 by Billy from easy installation Dishes are now spot free and seem cleaner. The only disappointment I have is that there appears to be no difference in the shower. It still feels like we have hard water instead of having that slimy feeling. Rated 5 out of 5 by Joanne from Love this system I purchased this unit 3 weeks ago. Living in rural southern Nevada the water is hard, hard, hard. Since installing this unit the hard water build up and stains have disappeared. Well worth the $$. Rated 5 out of 5 by Diane Quan from They had to replace my original tank because of a leak, the customer service was really good. The system is working great very happy with it. I highly recommend it and the company. Rated 4 out of 5 by James Ruhlman from Work well once your get through the start up problems. I think that is why plumbers don't want to install the system so had to follow instructions and di it my self. Rated 5 out of 5 by Dave Eck from Great system for less price compared to salt system. No salt needed just an inexpensive pre-filter to change out every 6-9 months. No drain or electricity needed. Rated 5 out of 5 by Ramjet from No more slimy showers I received the unit about 3 1/2 weeks ago and it was installed two days later. The plumbing people you recommended did a very professional job on the install. Rated 5 out of 5 by Loretta from Had Pelican NaturSoft Salt-Free Water Softener for 8 years. It did the job. Therefore when the house burned, I purchased the same system for the new house. Rated 5 out of 5 by Martha from This is our first experience with a Salt-Free softener or any softener. We could immediately tell a difference in the water and are very pleased. Rated 5 out of 5 by MomEee from Salt-Free Water Softener This system has been very effective in removing minerals from our water. Use of water is much better for bathing, washing clothes, general use. are the pc600 and the nc3 installed exactly the same way? Yes they are installed the same way. I live in a condo. The only place I have is a crawl space. Want a whole house filter. Have 2 bathrooms. Is there any filler I can get to fit there. We recommend you look at our PSE500 or PC300 compact units designed for condos and apartments. These will handle filtration for your condo. When it comes to water softeners, bigger isnt always better. You want to properly size your system for your flow needs. I am interested in the Pelican system but NOWHERE do you mention flow rate which makes me suspicious! Also, your explanation of the Natursoft media and the chemical process are over-simplified and frankly explain nothing! Hello Robert, Sorry to hear you did not take the time to read the product page. If you click on the Specs and Warranty tab the flow rate is listed clearly for both size systems. You can also read the more detailed explaination of how our system works by clicking the &quot;How It Works&quot; tab and scrolling down to the &quot;learn about the science&quot; at the bottom of that section. does the nature soft water systeam come with carbon filter and install kit? No the carbon filter system and installation kit are separate from the Natursoft alone. How tall is the smaller 9 inch one? Can the salt free softener tank work in horizontal position ? The PC model is a filter, the NS model is a softener system. Pelican Water Systems NaturSoft Systems are the only third-party tested DW-9191 certified salt free water softener with 99.6% prevention of scale buildup. The DVGW is an organization that establishes standards and test protocols. It also approves or certifies laboratories to then conduct testing according to those standards and protocols. The same can be said for NSF in the US. The DVGW is located in Bonn, Germany. It has its own laboratory by the name of TZW located in Karlruhe, Germany. Beyond that, the DVGW has certified some twenty plus privately owned laboratories throughout central Europe who are authorized to conduct certification testing. The same holds true for NSF. It has its own laboratory and those certified by NSF like WQA, UL and Pace Laboratories to name a few. The DVGW also issues test marks or certifications (i.e. the WQA equivalent of a "Gold Seal") like the "W510" standard. Their internal code for the W510 certification is "9191 - Kalkschutzanlage" (scale protection device). In order to obtain the W510 certification seal or certification mark, the applicant has to pass a total of three test protocols: Efficacy (W512), material safety and structural integrity. The DVGW 9191 - Anti-Scale standard uses the worlds strictest guidelines to determine the effectiveness of a system to prevent scale using Worksheet W 510. W510 combines 3 testing requirements that all systems must pass: 1) Structural Integrity, 2) Microbiological Testing (W 270 and KTW tests) and 3) Performance in Scale Prevention (W512). Unlike the NSF acceptable passing level of 50% for performance claims, the DVGW protocol for scale prevention performance (W 512) requires 80% or better to pass. In order to obtain a certification under DW-9191 with test report W 510 you must pass at least 4 separate tests, plus the W 510 requirements. The W510 test simulates over 2 years of normal customer water usage (200,000+ gallons), making it one of the most comprehensive anti-scale standards in the world. As part of the Pelican Natursoft line of products, we submitted one of our anti-scale Natursoft system to the DVGW for certification under the DVGW 9191. The 9191 is already the most difficult and all-encompassing test in the world for anti-scale, requiring a minimum of 80% to pass, however we wanted to challenge ourselves even more. The system submitted by Pelican put Natursoft into the most challenging test parameters the DVGW could certify and the results speak for themselves. Having passed all 5 requirements of the 9191, Pelican's Natursoft system submitted for testing was certified by the worlds highest anti-scale standard with a performance rating of 99.6%. Using the success of the Pelican Natursoft system that passed DVGW 9191, Pelican developed a full line of Natursoft products providing proven, tested 99.6% scale prevention from small cartridge systems up to high flow light commercial and everything in-between. The DVGW W 512 standard is the most stringent of its type in the world. In order to be subjected to the most rigorous test protocol possible, sparing no expense, we have commissioned to have our equipment performance not tested in the US , but tested by a DVGW certified laboratory in the home country of the standard itself, Germany. The test aims to simulate real life conditions over an exceptionally long period of time using some extremely challenging natural well water. To protect drinking water from microorganisms on non-metallic materials, the DVGW indicated the necessity for adherence to the requirements set out in the DVGW Code of Practice W 270 "The growth of microorganisms on materials intended for use in drinking water systems - examination and assessment!". DVGW also established KTW Assessments which test all plastic parts, coatings, rubber and lubricants to UBA and BGA guidelines to ensure chemicals are not leeched into your water. True in both Europe and the US, a certification is a pass/fail proposition. The certification states that the applicant has passed and fulfilled the requirements of the standard. Individual test results are not published in either jurisdiction. The reason for that is due to the minimum requirement to past those tests. For example, NSF 42 requires at least 50% reduction in chlorine in order to pass performance claims. That means a product claiming certification may only remove 50% at the end of filter life. As a result most companies wont publish their test data, fearing the consumer seeing their low results at end of filter life. Pelican publishes its test data because we acheived a 99.6% scale prevention, with DVGW, rating during the entire length of the test. No other salt free system has received a certified rating that high. Note: Just 1/4" of scale build-up can increase heating costs by 40% or more. Observe the scale build up on the untreated side after only 3 days of operation. Pelican Water Systems NaturSoft Systems are IAPMO Certified to NSF Standard 61 for material safety and tested to NSF 42 for structural integrity only, making them certified in all states. A salt free water softener is any device, substance or process that when applied will result in any, or all of the following benefits to varying degrees in the areas of scale reduction, improved cleaning / housekeeping and subjective improvements in personal care without the use of sodium/potassium chloride. IAPMO Research and Testing, Inc. is a product certification body which tests and inspects samples taken from the supplier's stock or from the market or a combination of both to verify compliance to the requirements of applicable codes and standards. This activity is coupled with periodic surveillance of the supplier's factory and warehouses as well as the assessment of the supplier's Quality Assurance System. The pictures show the heat exchanger with the insulation removed and the core / heating coil freshly pulled. As one can plainly see, there are absolutely no scale deposits on the element or the heat exchanger pipe. On the bottom of the pipe's interior, there is a small amount of a silt-like deposit of the calcium carbonate crystals produced by the NaturSoft media. The stainless steel surfaces of the heating coil have a slightly dull look which is due to a few micro micron thick haze of 'soft scale' during the process. This deposit is easily wiped off with a cloth or flushed away with a pressure washer . without the need for chemicals of any kind. It is the only evidence of hardness minerals that could be found after one full year of operation. Pelican Water Systems proudly introduces NaturSoft media the next generation in hardness control. Years in development and tested in the U.S. under harsh real life conditions the NaturSoft media exceeded all expectations and delivered amazing results. NaturSoft media is produced exclusively in the United States by Pelican Water Systems. The new era of technology has made many advances in water treatment possible in residential as well as commercial applications. NaturSoft has proven to be very effective in both applications even at high temperatures and hardness levels. The NaturSoft System represents the superior alternative with respect to dealing with the symptoms of water hardness without resorting to ion exchange (salt or potassium) based systems. The commercial grade media is now available for residential consumers. What you will read in this story is an example of commercial water treatment using NaturSoft media. This represents an extreme case far beyond any residential demand or application. The boiler/heat exchanger is just a larger version of a residential hot water heater. This stainless steel heat exchanger is part of a boiler system in an industrial application. The energy source for the heat exchanger is a steam generator whose steam heats the interior of the stainless steel tubing of the heat exchanger to 338 Fahrenheit resulting in an exterior surface temperature of 266 degrees Fahrenheit. The source water has a temperature of 52 degrees Fahrenheit. It travels through the heat exchanger pipe and is heated to 185 degrees Fahrenheit in seconds. The heated water then is supplied to a 13,000 gallon hot water storage tank that in turn supplies all the hot water requirements for the entire factory. The boiler system was newly installed in August of 2002 with raw water treatment consisting of traditional water softeners (Duplex Fleck 2900 24.X72.). The system was operated in this configuration for the first 18 months. Numerous Softener failures / service problems combined with the substantial operating cost (salt usage approaching $45,000 worth per annum) and industrial discharge issues caused the owner to look for alternatives. The first attempt was to try and get by without pre-treating the raw water at all; this proved to be disastrous. After only two and a half months the heat exchanger had scaled up to the point where the hot water supply to the plant had been reduced to a trickle. Pulling the heat exchanger for inspection and cleaning proved to be no easy task. The unit had scaled up so completely that it required the use of chains attached to hydraulic presses to force the coil out of its housing. The scale so completely surrounded the core that it visibly consisted of a big lump of limestone in the cylindrical shape of the heat exchanger housing rather than looking at the stainless steel core. It took two days of careful cleaning with phosphoric acid to restore the heat exchanger to a normal operating condition. Finally in the spring of 2004, a system using the NaturSoft media was installed (Single tank, in/out in up flow operation. Ever since then, this boiler system has been in continuous service protected by no other water treatment but NaturSoft. Hot water usage in the plant averages 80,000 gallons per day, 6 days a week, and 50 weeks per year. The water treated has a calcium hardness of 446 ppm (26 grains per gallon) and small traces amounts of iron. For the entire service life to date, there have been no variations or drop in the performance / efficiency of the boiler system. At the time of these photographs, the boiler had already heated in excess of 80 million gallons of water in its service life. More importantly, the photographs show the heat exchanger after one year of uninterrupted service having heated in excess of 24 million gallons of water since the last annual inspection! This spring (2007) the annual inspections of the boiler were suspended indefinitely. Since the previous two inspections had not yielded any need for cleaning and the system was operating within specifications the owner chose not to bother going forward. No service problem or failure resulting in down time for the plant, no capacity constraints and zero operating costs. We invite you to watch the videos below to learn more about your water and how you can benefit from installing a Premium Pelican System in your own home. Pelican Water is the leader in premium whole house water filtration and salt-free systems. In this day and age it now more important than ever to filter your water, protect your pipes and appliances from the negative effects of hard water. Learn about the problems we are facing today with our limited drinking water supply. Also learn about the Pelican solution for your family. Learn how chlorine and chloramines are absorbed through your skin and into your foods, including how to remove them from your water. Water is one of our most valuable resources and its time to start treating that way. Learn about the affects of salt-based water softeners and how they work. Also learn about Reverse Osmosis (RO) systems and how they work. Many people who have a salt or potassium-based water softener do not realize the damaging effects it can have on our planet and our bodies over a period of time. Learn about the benefits and advantages of owning the Pelican Combo Series. The EPA says it is up to you to filter your water in your home. Adding a filter to your home is the first line of defense against harmful chemicals and byproducts. The Pelican Natursoft system offers a green alternative to water softening that will protect your biggest investment: your home, from scale and the damaging effects of hard water. Pelican Limited Lifetime Warranty against manufacturer's defects. Pelican Water (“Pelican”) warrants to the end user (“customer”) that its tanks, valves, in/out heads, bypass’s, fittings, Natursoft media and housings (“Covered Items”) will be free from defects in material and workmanship under normal use and service for the life of the system. No warranty is made with respect to defects or damaged due to neglect, misuse, alterations, accident, misapplication, physical damage, installation on water quality outside guidelines for system or damaged caused by fire, acts of God, or freezing. Private Well Water Conditions (water supplied from homeowner's private well): The water treated shall be free of hydrogen sulfide (sulfur gas / rotten egg smell), oils or high levels of copper (>1.30 mg/L). Any will coat the surface of the media and will interfere reducing its efficiency. If any iron or manganese is present in the source water, you must pre-treat the water. If any of these issues exist, you should employ pre-treatment prior to using this technology. Please contact customer service at 1-877-842-1635 for your pre-treatment needs.